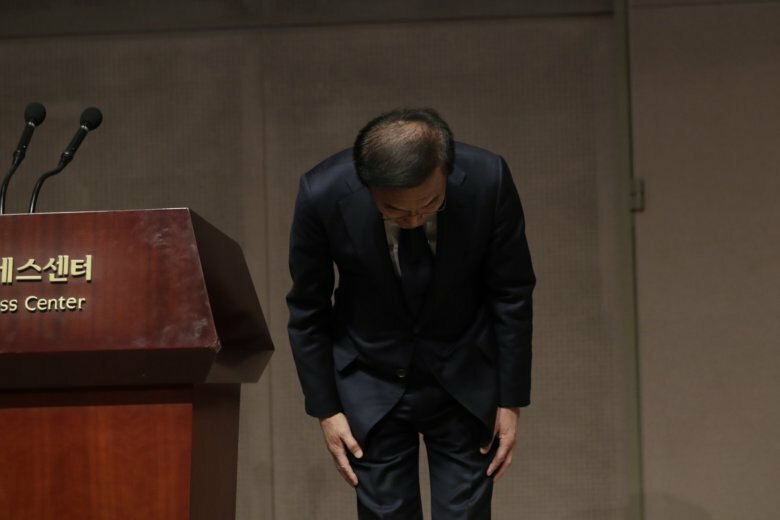 SEOUL, South Korea (AP) — Samsung Electronics apologized Friday for illnesses and deaths of some of its workers, saying it failed to create a safe working environment at its computer chip and display factories. Kinam Kim, president of Samsung’s device solutions division, said the company failed to “sufficiently manage health threats” at its semiconductor and liquid crystal display manufacturing lines. As detailed in Associated Press reporting over the past decade, dozens of employees who worked there have experienced grave illnesses such as leukemia and brain tumors. But while cutting a deal and loosely admitting to lapses in safety standards, Samsung has yet to fully acknowledge its workplace environment as the direct cause of the illnesses. Since 2008, dozens of workers have sought occupational safety compensation from the government. Few won compensation, mostly after years of court battles. Half the remaining claims were rejected and half remain under review. Families of the victims often have depleted their savings and sold their homes to pay hospital bills. Some workers end up incapacitated and unable to work.